Interesting how he shows that having the support arm bent more to 90 degrees, with the support hand further back on the fore-end, is better. It’s true – because with the sling high up on the support upper arm, it has the greatest degree of leverage against the support hand/wrist to support the rifle weight. 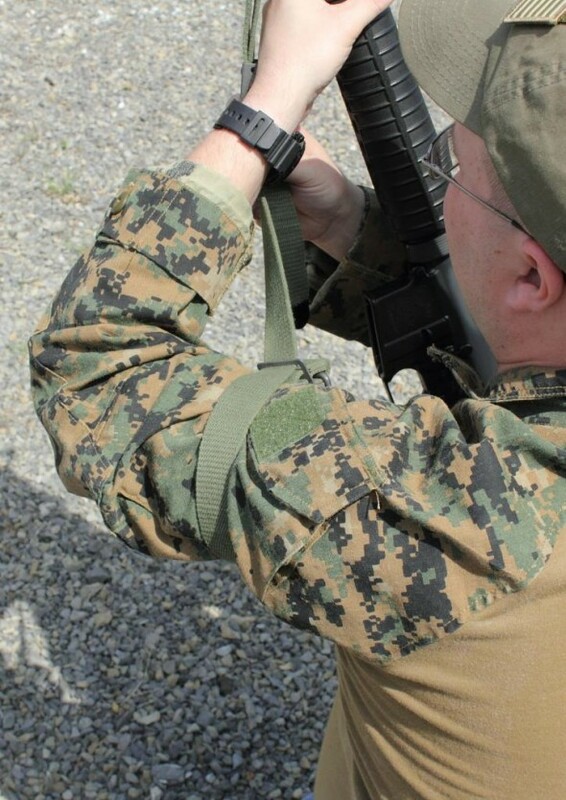 The lower the sling is on the upper support arm (down by the elbow), the less it helps take the weight of the rifle – the angle between the sling strap and the shooter’s support forearm is too shallow. The greater angle as shown in the picture with the 90 degree support arm elbow bend and the sling up high near the armpit works better.